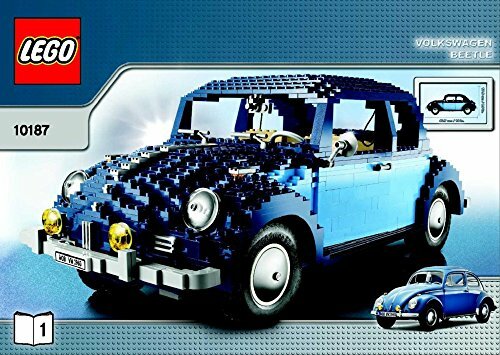 In this thread, I will share my experiences (and sometimes struggle) for finding and buying the bricks for building the Volkswagen Beetle 10187. At Bricklink, this set is available starting at 450 euro's (used) or about 600 euro's for a new one. It is a challenge to find and buy the separate bricks and have it cheaper than a used set. If there are particular questions, please let me know. The building instructions can be found at the Customer Service of Lego.com (service.lego.com). Just enter the number of the set and you'll find your instructions for most sets as PDF. For the list of needed parts, you could use the building instructions. At the end of most instructions, there is an overview of all the parts contained in the set. But the quality of the PDF is not that good and for some colors it is really difficult to see what color is exactly listed. Fortunately, the design id is also listed which is unique for each Lego brick. For large sets, it will take some time to convert it to a list. 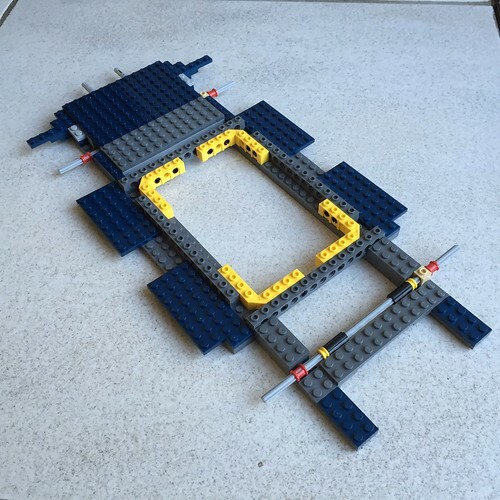 Then there is Peeron (peeron.com) and Brickset (brickset.com). I always use the last one. It is a very easy site to navigate thru and especially the part list is really clear. But .. as you could have read at my article about the Eiffel Tower, the numbers are not always reliable. It seems that numbers > 200 are maximized to 200. 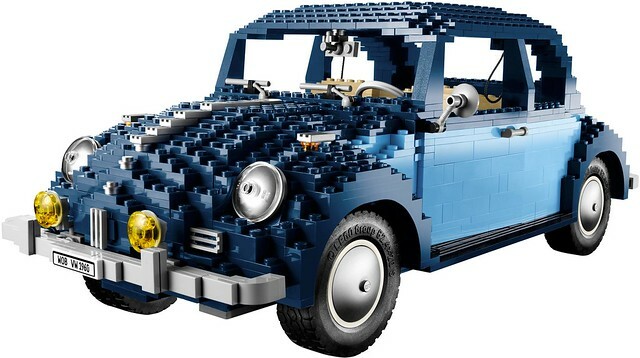 So, for the larger numbers, I have crosschecked the numbers of Brickset with the building instructions, in the case of the VW Beetle there were no differences. You could check Rebrickable for part list. It would eliminate a lot of manual work. Thanks for the suggestion. Brickset has also a complete list of the needed parts, so in principle you don't need any manual work. Until now, I only found one error at the Eiffel Tower. All the other sets were correctly listed. 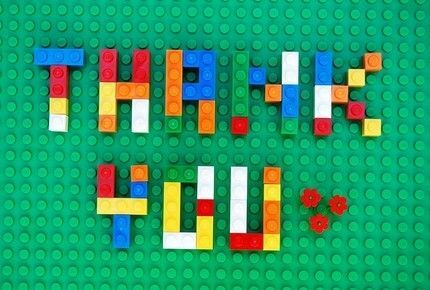 What is your experience with Rebrickable? Ok, now the fun part starts. But it is sometimes also frustrating if parts are not available anymore or extremely expensive. This is how I look for the bricks. Sounds logical, isn't it. The first thing I do, is to check my brick collection what I already have. In the picture below you'll see three drawers (of a total of six) containing all the new Lego that I have. I do have even more Lego from my childhood, but that Lego is old, dirty and the colors slightly differ from today's Lego. It is always a big surprise if I have the specific bricks or not. Sometimes I am convinced that I have the brick(s) and I don't and sometimes it is the other way around. So, it is always a kind of surprise that leads to a 'hooray' if I can remove a part of my "needed list". With the rebuilds of the Lego Cafe Corner (10182), Lego Street Market (10190), Eiffel Tower (10181) and now the Volkswagen Beetle (10187), the number of parts that I already have is typically between 20 - 30% of the total needed. I make notes on the printed part list to know how much I already have and thus what I still need to order. And then I can go to step 2b. In the next part, I will go into more detail how I differ between these options. 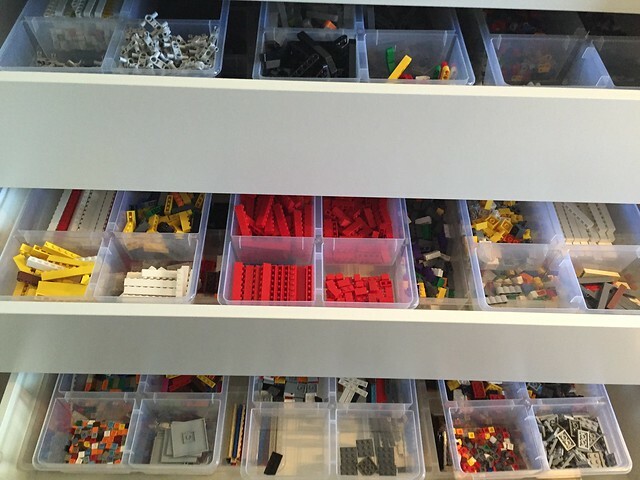 The most easy step to start with, is going to the Lego.com site, Customer Service, Missing Pieces (MP). This MP site is (as the name already reveals) meant to buy missing pieces. So, suppose you have accidentally lost all your pieces of the set ;-) You could just add all the missing pieces of the set, change the number of pieces to the corresponding numbers of your list and you're done. In principle, this is correct. But. In most cases, not all pieces can be bought, especially if the set is old(er). And next, you need a lot of money to buy all the pieces using the MP site. But if you don't care about the money, most of the pieces can be bought at this site. Strange but true: the other official Lego site Pick-a-Brick (PAB) has sometimes different availability and prices. Sometimes, bricks that can be bought at the MP site, cannot be bought at the PAB and vice versa. And sometimes, MP is cheaper than PAB and vice versa. Especially if you have to buy large number of a piece (e.g. 150 pieces) and the price differs 0,11 euro, it is worth the money (extra shipping cost) to buy some parts at MP and some parts at PAB. And then there is Bricklink.com (BL). This is my best Lego friend until now ;-) I haven't seen that there is a Lego piece that isn't sold somewhere in the world. In fact, I have my own Lego store to sell some leftover bricks as well. I normally start to update my list with finding the bricks at MP and PAB: what is available and which one is the cheapest. Then I start to find the bricks that cannot be bought at MP or PAB and if the price is doable. As said, I haven't had a brick that cannot be bought at BL. But I didn't say that it is also affordable. A door for my Cafe Corner is sold for 45 euro. A 2x2 plate for the Volkswagen Beetle is sold for 2.50 euro .... and I need 61 pieces. That is the frustating part. But for most pieces, it is even cheaper than PAB or MP. So when I find a shop that sells a piece that isn't sold at MP or PAB, I start looking for other pieces that are on the PAB/MP list to check if I can get it cheaper. It is a challenge to find BL shops that have the pieces that aren't sold at PAB or MP and have cheaper pieces than PAB/MP as well. Due to the shipping costs, I try to keep the number of BL shops below 5. So, by this time I have a 'needed list' with three names where I buy the pieces: BL shops, PAB and MP. But there are still some empty places at the list: until now, not because the pieces cannot be found. But because of the extreme prices of the bricks. Then you have two options left: look for sets containing the needed parts and look for alternatives. I normally use Brickset to find the parts that I need and check which other sets have the pieces that are too expensive. Until now, I did find some sets but they are expensive as well. I assume that I am not the only one hunting for some rare pieces. Don't forget that I am looking for pieces that are not sold at MP or PAB and are extremely expensive at BL. But it is an option and you might be lucky in your case. The last option that I follow, is finding alternatives. For example, the windows (id: 4218638) in the Cafe Corner were extremely expensive. That is, I need 5 pieces at appr. 14 euro each. I call that extreme. The alternative 60598 are quite similar and cost (new) about 15 cents. I don't need to think that long if I am going to spent 70 euro's or 75 cents... But there is not always an alternative that is both affordable and good looking. For example, I don't have an alternative for the 2x2 places in dark blue. That's a very super effort you r doing here...Cool! The other option is buying them from Lego, the plates are still in production so could be bought direct, if you are a LUG member there is another option. 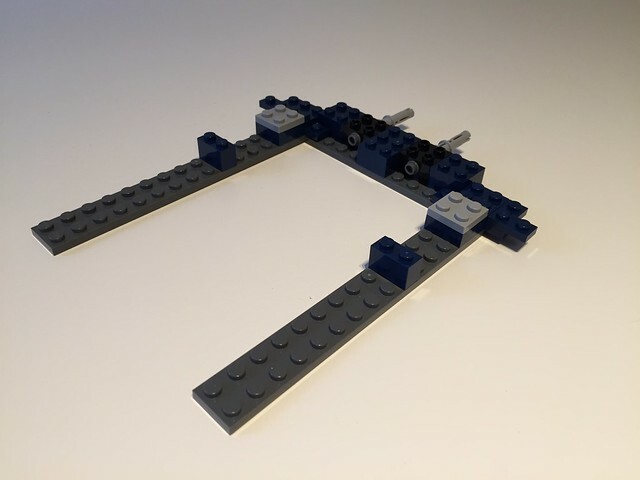 Please let me know where I can buy these plates at Lego. I have looked at "Missing pieces" (= not available) and in the Pick-a-Brick (= not listed). So if you know additional sources, please let me know. And what do you mean with "If you are a LUG member, there is another option". I am not a LUG member (yet). LUGs that qualify are able to use lugbulk to purchase pieces that were available in last years sets in bulk quantities, usually lots of 50, if you are a lugbulk member that is another option. And how do I become LUG? I checked the Lowlug site but can't find a 'become a member' button...? The dark blue 2x2 plate was last used five years ago, so it would probably not be available from that either: I suppose they can only order "current parts". Holy smokes, after shopping around those have to be the most valuable 2x2 plates ever! I would have PM'd you but I think I need more posts first. Love this project, so in a small moment of "pay it forward" I picked up a set of 18 2x2 dark blue plates from ebay. If you'd like to send your mailing address to me (havegoalsmke at gmail) I will put them in an envelope to the Netherlands and you'll be (nearly) 30% of the way there. I was really surprised when I read this message. I contacted LegoWarBoys immediately, he is even willing to send me the 18 bricks for free! Of course, I will gladly pay for the shipping. PS In the next days, I will post some more detail of my search for bricks in order to be able to start building. which are the plates you need, 2x2 square or 2x2 corner? No problem my friend. After the weeks of searching for parts for my Gigahorse MOC, I know that experience well. For the longest time there was one single brick of this and the guy wanted (iirc) six bucks. I worked around it by using pairs of the 2x2 equivalent. A bunch just turned up and I finally bought two (from the Netherlands by coincidence!) and I'm looking forward to settling my designer's inner struggle to have exactly the right part. I have looked in my collection, but unfortunately I don't have the bricks you need. And I know exactly what you mean with the "inner struggle to have exactly the right part". I don't like it either to have an alternative, even if it is not visible from the outside. Maybe it helps that there are people who feel exactly the same. It does for me. The step to look for alternatives is hard to explain, since there is no recipe that always works. And sometimes you just need to be lucky. I will give some examples that can give you some hints if you're looking for alternative bricks. Maybe it will help you in the future. The Volkswagen Beetle needs 5 white rims. At Bricklink, they can be found. But only in single pieces, only used and if I would buy the five cheapest single rims, it would have cost me around 35 - 40 euro's (since I would have to pay 5x shipping). So, that was not an option for me. So, the rims can be removed from the needed list . But the lesson learned is: in many cases, the design-id can be different for (almost) the same piece. You can find out (but it is rather time consuming) by searching Brickset or Peeron for pieces in the same category. In some cases, I managed to find pieces that are almost the same but much cheaper. The can be found at BL, at a price of 20 euro's each (!). So, buying these bricks would cost me 240 euro's. That's crazy. The only alternative I can think of, is replacing these parts by other bricks, e.g. 2 plates 2x8. Or 1x plate 4x6 + 1x plate 2x4. I have checked the building instructions, it should be doable. So, I have bought some additional plates 4x6, 2x4 and 2x8. These parts are sold at BL for appr. 4 euro. A total of 64 euro's if I would buy them in one time. Fortunately, there are some sellers that sold one or two pieces for 1.50 euro. So, I bought these single ones (all in the Netherlands, otherwise the shipping would be too costly). In this way, I found six pieces. Called the Lego company. It seemed that my order was lost ... . Missing the light bluish gray bricks and the dark blue corner pieces. And indeed, they are part of that particular order. So I will need to be patient. I continued a little with the building, but the order from "Missing Pieces" is still not processed (they guy of the helpdesk told me that they lost the contents of my order ). The result is still nice! I love this thread. I want you to know that. And I want you to know - also - that, yes, it was me who derailed the shipment of your pieces. But, it was only in order to keep this thread going. I actually enjoy alternative parts. They seem to be the constant reminders of the those impossibilities of life that can't be swept away, but only integrated into one's existence. So, with the VW almost within reach, what's your next fascination build? Do keep us in the loop. I know this isn't the solution now, but did you consider building it in Black & Light Bley? I think it would look quite smart in these colours too and probably a hell of a lot cheaper!. Looking good my friend! Keep going! If you need any references or pictures I can send them to you. I literally have a Beetle sitting on my shelf next to me with the box and instructions in the loft! Is this set rare or something? !